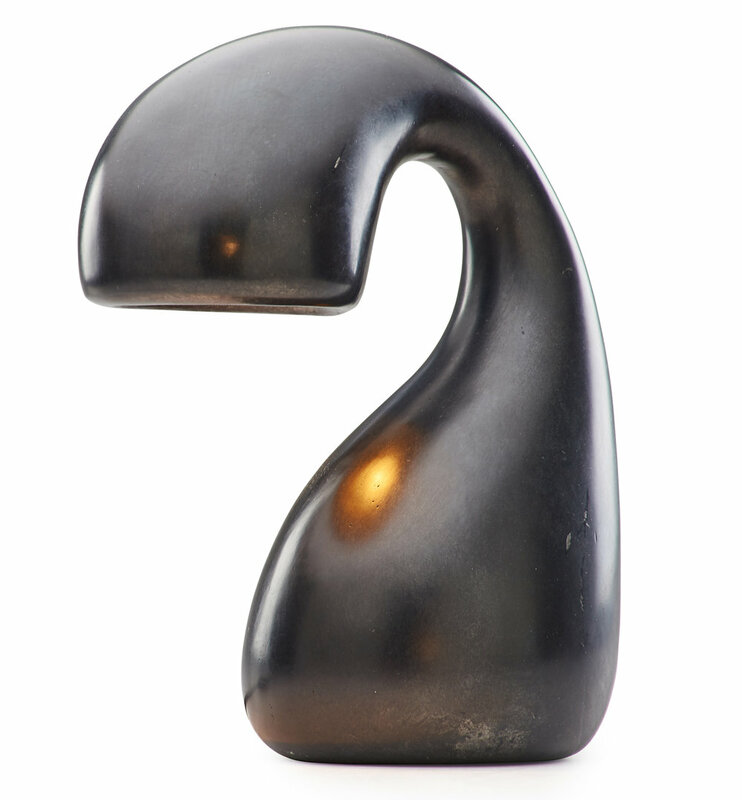 Eliza's Dark Little Question is a table lamp composed of patinated cast aluminum. It was made in Chicago, USA in 2002 for Herzblut, a club in Hamburg Germany whose name translates as "heart-blood" but means "passion". Provenance: collection of the artist. Signed. Approximately 6" wide x 12" long x 20" tall. (15 cm wide x 30 cm long x 50 cm tall). Made in Chicago. 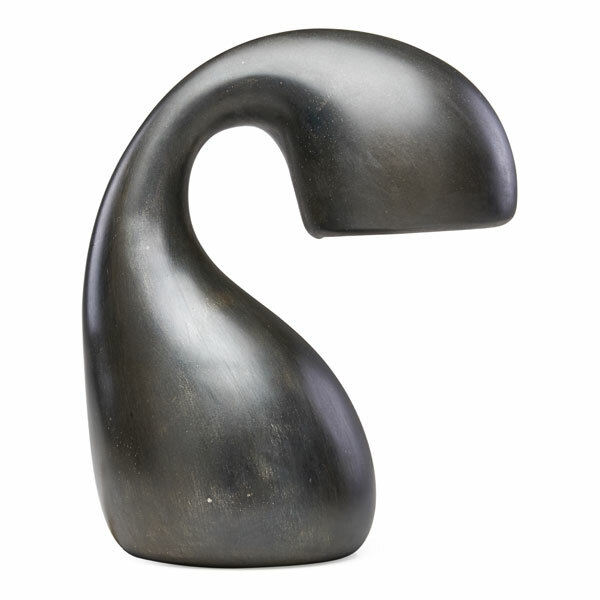 Hand-carved in maple, then cast in 93% recycled aluminum-magnesium alloy, hand polished and hand rubbed for a patinated finish. The wiring is suitable for commercial venues. This lamp was was originally created in 2002 for Herzblut, a club on the Reeperbahn in Hamburg. Germany, where the Beatles played in the early 1960s. Eliza’s Dark Little Question was inspired by the insistent questions of the artist’s curious first child. White background photos courtesy of Rago Arts. Photos with grey sweep by Tom Rossiter. Blue table photos at Oak Street Gallery by Eliza Mozer. Times Square Hotel photo by Doug Snower.